Downwinders at Risk is proud to announce we received a very generous $40,000 grant from the Dallas-based Simmons Sisters Fund in December to cover the costs of our “No Safe Level” PM pollution protection campaign for the next two years. 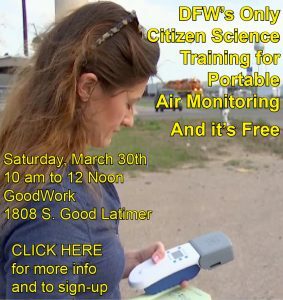 This money will be going to buy both portable and stationary PM pollution monitors, educational and outreach materials, including videos, websites and social media campaigns, new studies we need to advance the cause, and a host of other things we would not have even thought possible before the arrival of this grant. We can’t tell you how excited we are to have this kind of budget. We can really start to make a difference right out of the gate. But we still need you. 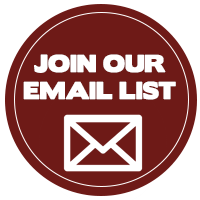 We need you to show-up at our monthly meetings and learn how you can plug into this campaign, which has the potential to reshape public policy in so many ways. We need you to invite us to your PTA, club, or church gatherings to present the information about PM that makes every audience gasp. And yes, we still need your donations – to pay for salaries of our one and half staffers, other projects, and special events like our Root and Branch Conference. We just got a huge vote of confidence in our new campaign from the Simmons Sister Fund. Please consider giving your own as well. Thanks.